Major General James Wolfe (1727-1759) led the British forces and died in taking Quebec at the first Battle of the Plains of Abraham on 13 September 1759. Effective rule over Canada from France was thus ended and the cessation of Canada to Great Britain was completed in 1763. 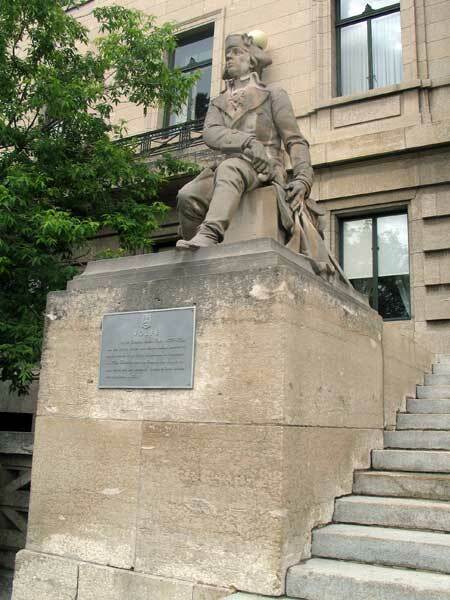 This statue is mounted on the west side of the Legislative Building, facing Osborne Street.